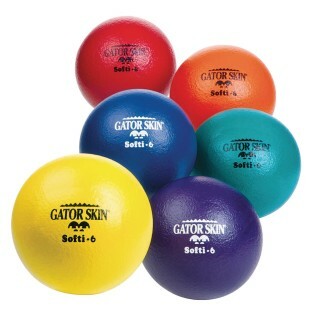 Gator Skin® Softi, low bounce. 6", 25 kg. Low density and low rebound. Please specify red, yellow, blue, green, orange or purple when ordering. Certified Latex Free. 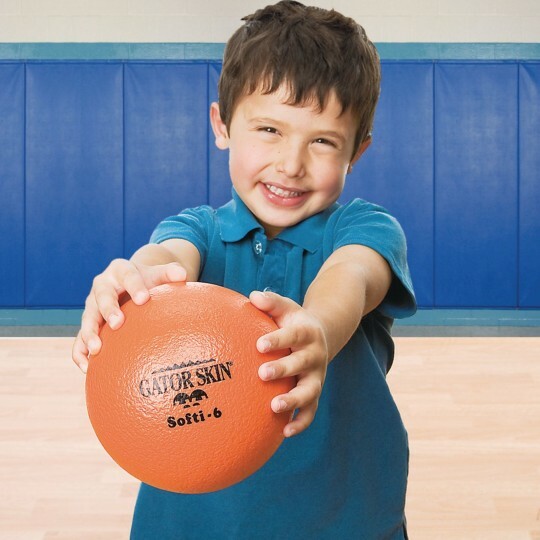 Our softest ball is best suited for Pre-K and elementary aged kids. Non-sting coating is a proprietary polyurethane. 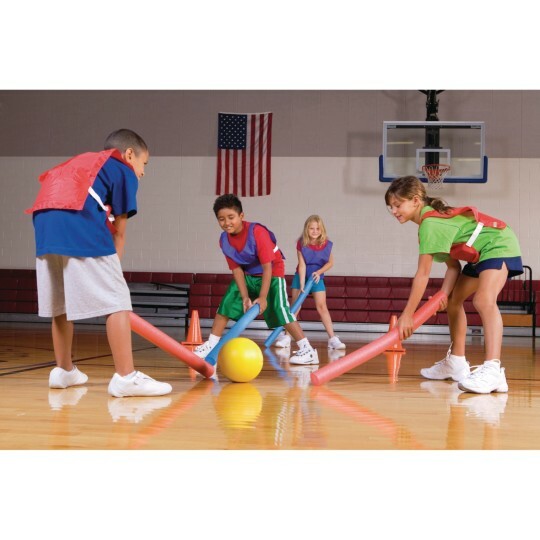 Kids of all ages love these dodge balls! 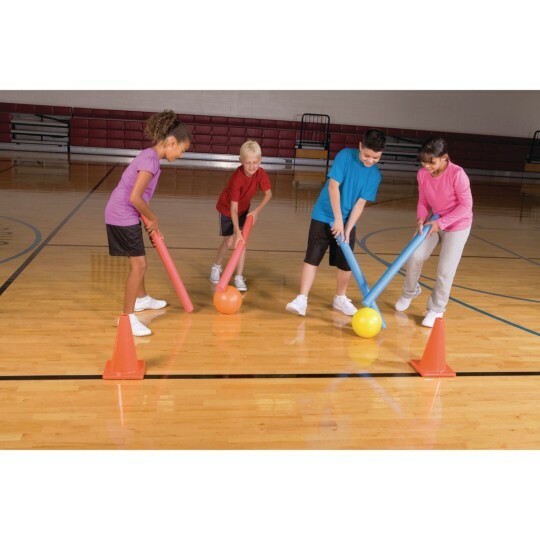 Toddlers to teens play with these dodge balls. I'm comfortable with them in the house: they roll but don't really bounce. We used red ones as tree ornaments for a fundraiser tree! Best toy ever. 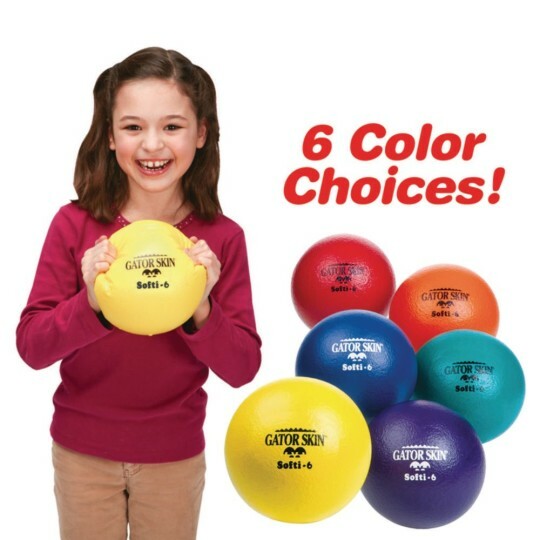 You can use these balls for multiple ball dodgeball. It does not hurt on contact. Great for all age groups. I love this product for my PE lessons. 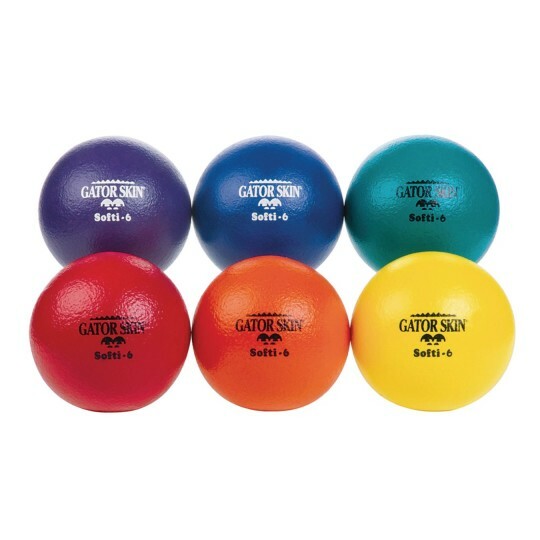 I can use the gator balls for so many different activities and students of all ages are able to practice throwing/catching etc. without having to be afraid of the ball. I also love the rainbow set for organizational reasons.